Come take a look at this brand new home with its amazing views This home sits in one of the newest up and coming communities just 15 minutes from downtown Blacksburg. 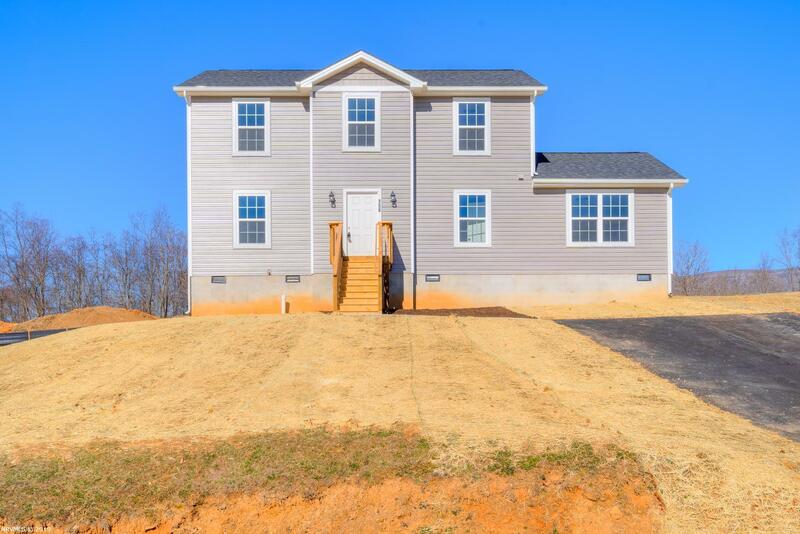 With 4 bedroom 3.5 baths there is plenty of space for you and yours. Why pay Blacksburg prices?? The neighborhood offers a walking trail, picnic shelter. Great Views!Come watch the sunset over the mountains. Never mow the Grass again, Live in this Maintenance Free Neighborhood w/22 Acres of Common Land, 2 Picnic Shelters, Playground, Basketball Court, Pond, Walking Trails & more!Located only 12 miles to Virginia Tech(VT) Pond is next to 1 of 2 Picnic Shelters & Picnic Shelter has a Fireplace for entertaining Guests & Picnic Tables. Directions: From Virginia Ave Rt 460 Turn North Onto Kow Camp Rd. Then Take Left Onto Redwood Dr. Then Right Onto Prairie View Ln. Stay To The Right At The Y Intersection And Home Is On The Left.